The issue of the investigations into Jamal Khashoggi's murder has become a thorn, with Turkey calling for a comprehensive investigation, against the Saudis and the United States' position. The Saudis have indicted 11 people for the murder and five of the 11 are reportedly waiting to die by hanging, following swift investigation by the Saudis, after the uproar by Turkey on the inhuman act committed at the Saudis embassy on Turkey's soil. Turkey had said that the Saudis crown prince ordered Khashoggi's murder. But the Saudis had said that the crown prince did not have a hand in Khashoggi's murder. There is nothing from available information from the Saudis investigation that has shown that the crown prince knows about Khashoggi's murder, other than that most of the indicted persons have been under his authority and command. The question then is how could these persons have committed such harrowing act under Prince Muhammed's nose without the knowledge of the crown prince? Authorities in Ankara don't trust the Saudis' investigation and have asked the fellows involved in the cruel murder to be turned over to Ankara for questioning. The ink on the report of the investigation by the Saudis had hardly dried before another report in the U.S. said that the CIA believes that the Saudi crown prince was privy to the murder conspiracy. The U.S. Congress and the media are believing the CIA's position and are targeting making the Saudis pay a price for the Khashoggi's murder, against President Donald Trump's position of 'America First' policy, and his believe that there is no certainty that the crown prince may have ordered Khashoggi's murder and no need to negatively affect the economy and the U.S. economy over the to punish the Saudis for Khashoggi's murder. President Trump said equivocally that America will not lose the gains from arms sales to Saudi Arabia to other competitors all because Saudi Arabia must be punished for allegations that the crown prince may have ordered Khassoggi's killing. Curious observers are weighing in and saying that it will be a different matter where the crown prince would have no hiding place, if the Saudis investigation into Khashoggi's' murder has indicted him. Others are saying that the U.S. has failed to show a moral leadership. The strongest scenario here is that if the Saudis have not made any arrest or indict no one around the crown prince, one may accuse the Saudis of a cover up. 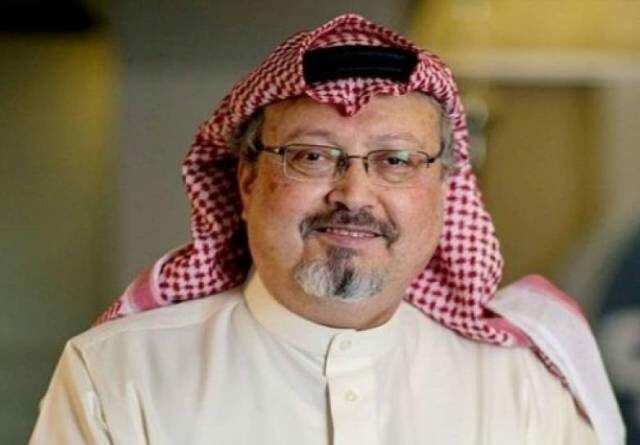 But the fact that the Saudis have been able to arrest people close to the crown prince without any information of obstruction of arrests and trial, shows an effort to be as transparent as much as possible to convince the world that it will not encourage any cover up in the investigation into Khashoggi's murder. The fact that Khashoggi was killed inside the Saudis embassy in Turkey had roped in the entire Saudi government. And the reason the government must do everything humanly possible to help the world get over this matter without leaving rooms for unnecessary suspicions that the government ordered the murder for Khashoogi over the liability in the administration of Saudi Arabia. Members of Khashoggi's family have said that they trust Saudi Arabia to be able to get to the root of Khashoggi's disappearance and murder. In 1986, when a journalist was murdered by a letter bomb in Nigeria, no single person was arrested or indicted for the murder, despite the fact that the name of the head of state was on the murder envelope as the sender, and the close-shave encounter by members of Military Intelligence against the journalist during the week of the murder.